I'm not one to follow the latest fashion trends. I work in a field where blue jeans, hiking boots and a hooded sweatshirt or t-shirt are pretty much worn every day of the year. There's one fashion nugget I've picked up over the years though and that's this bizarre "no white before Easter" nonsense. My grandmother was a big believer in this. My family isn't religious, we celebrate Easter in strictly the eat brunch and look for eggs manner, but that brunch has always been an opportunity to dress up. I could always count on three things, my grandmother would have a new spring hat, she would be wearing white for the first time in the new year and she would stain those white clothes by dropping ketchup or some similar substance on them. I've never understood this fascination with white wearing only between certain arbitrary dates. (Nor the desire to eat ketchup while clad in all white for that matter.) I've seen a few interesting theories though. One is that back when houses were heated with coal it was nearly impossible to wear white any time other than the summer. The amount of soot in the air and on pretty much everything you might tough or sit on when it was cold made white impractical any time buildings were being heated. This seems to make sense but I haven't found any real evidence this is where the tradition came from. Some people say that white is a fresh summery color and donning white is a signal of a new beginning. White is also, no doubt, a cool color to wear in the summer as it doesn't absorb heat and you feel cooler. Sure, okay, I buy that but how is white not a winter color? Looking out the window at the end of this long winter, I am sick of white. There is white everywhere. We've melted 16 inches of snow away in the Twin Cities in the last week or so and there are still mountains of the white stuff. 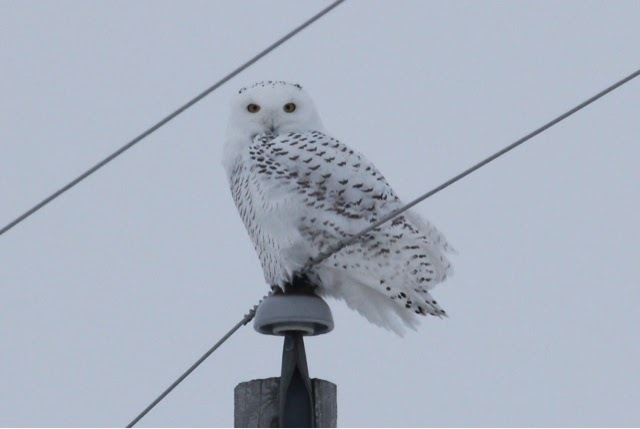 We've even been overrun with white snowy owls. Haven't we had enough? Apparently not. Here's the latest 48 hour snowfall total model run. Seriously? More snow? Haven't we had enough? The core of that storm is showing as much as 20 fresh inches of snow on Minnesota. Now, this model is probably overestimating and it looks like most of it will spare the Twin Cities if this track continues but come on. Enough white. Here's my new fashion advice. Throw away the old model of no white until after Easter. The new model is NO WHITE AFTER EASTER. I'm done with it. I don't want to see the color white again until next December. Since today is St. Patrick's Day and everyone seems to want to wear green I say keep it up. Not just today, green everyday. Wear your green until nature gets the message. We're done with white.